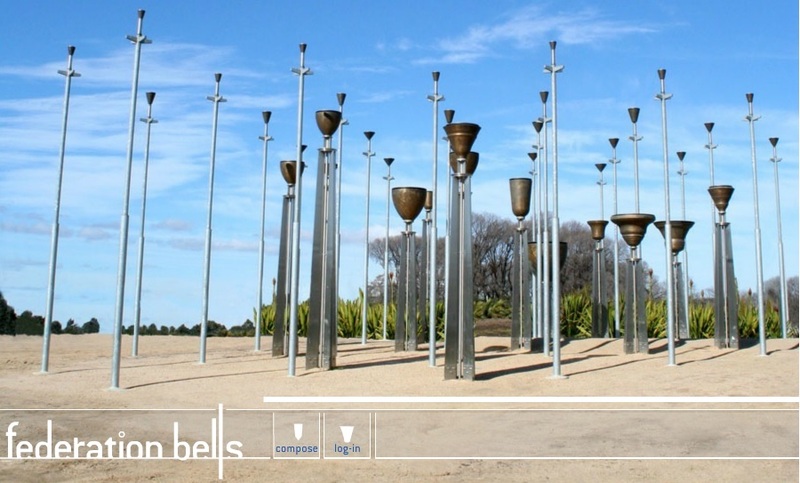 The Federation Bells park in Melbourne has launched an open call for composers to submit compositions to be played on a fascinating instillation of 39 bells. The Federation Bells are a (recently refurbished) collection of 39 bronze upturned bells mounted on poles in a grid arrangement at Birrarung Marr in central Melbourne. They can be played using a sophisticated electromechanical system, in which internal hammers strike the bells, triggered by simple MIDI commands. To encourage folks to submit compositions, the Federation Bells website features an online composition tool that lets folks compose music for the 39 bells. A composer’s manual and guide is also posted on their website at http://federationbells.com.au/media/Federation-Bells-Composers-Manual.pdf. The Terms and Conditions for submitting a composition also have a nice ring to them. By submitting a composition folks agree to: 1) grant a license allowing their composition to be played on the bell instillation for one year (composer retains ownership) and 2) submit their composition freely without seeking any further consideration. Additionally, some folks may earn royalties if they are a member of APRA (or an equivalent society) and there is no promise made that submitted compositions will be performed. (Terms and Conditions are always subject to change). Evidently, over a hundred compositions have already been submitted. 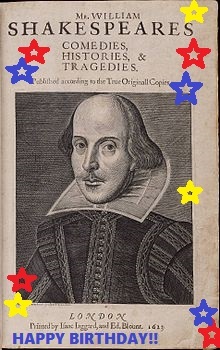 As I type this, I am singing to myself, “ding dong merrily on high in heaven the bells are ringing.” The melody and lyric of this carol are fitting. See also: Rob Waring’s website http://home.broadpark.no/~rwaring/; Information about composing for the Federation Bells at http://federationbells.com.au/play-the-bells/composing-for-the-bells; http://federationbells.com.au/media/Federation-Bells-Composers-Manual.pdf ; and http://composer.federationbells.com.au/FederationBells.html; @iplegalfreebies and www.kasterlegal.com. Finding Vivian Maier, is a fascinating, documentary film about a talented street photographer who kept her photographs secret… and was recently discovered when a young entrepreneur purchased boxes of her negatives and undeveloped film on a hunch at auction. This situation raises an interesting copyright scenario; because, Vivian Maier took her photographs from the mid-1950’s-1990’s but they are only now being “published” and made available to the public for viewing, sale and distribution. The “publication” of a work is an element in copyright registration that can often seem mysterious for a first-time copyright registrant. Let’s take a look at the publication element in US copyright registration by using Vivian Maier’s newly discovered photographs as an example. 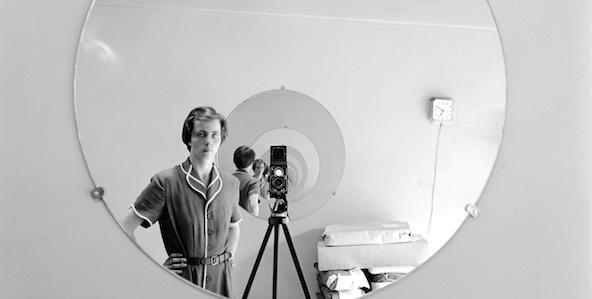 Here is background on Vivian Maier and her photographs: “Now considered one of the 20th century’s greatest street photographers, Vivian Maier spent her life as a nanny, secretly taking over 100,000 photographs. Hidden during her lifetime, Maier’s work was discovered by pure chance when amateur historian John Maloof ended up with a stash of her photo [negatives] at an auction. Fascinated, he searched for more—and for the story behind the woman. Now, this unsung art- its strange and riveting life and work are revealed through never-before-seen photographs, films and interviews with dozens who thought they knew her.” [the synopsis of the film, Finding Vivian Maier, as posted on the IFC website at http://www.ifccenter.com/films/finding-vivian-maier/] [the film gets 2 thumbs up]. For Vivian Maier’s newly discovered and published works, they will likely benefit from a longer term of copyright protection; since, they have recently been published some twenty to sixty years after they were taken. See also: Information about Vivian Maier at http://www.vivianmaier.com/about-vivian-maier/; the US Copyright Office website at http://www.copyright.gov/help/faq/faq-definitions.html; US Copyright Circular 1: Copyright Basics at http://www.copyright.gov/circs/circ01.pdf and http://www.copyright.gov/circs/circ01.pdf#page=3; show times for seeing Finding Vivian Maier at the IFC in NYC at http://www.ifccenter.com/films/finding-vivian-maier/; @iplegalfreebies and www.kasterlegal.com. 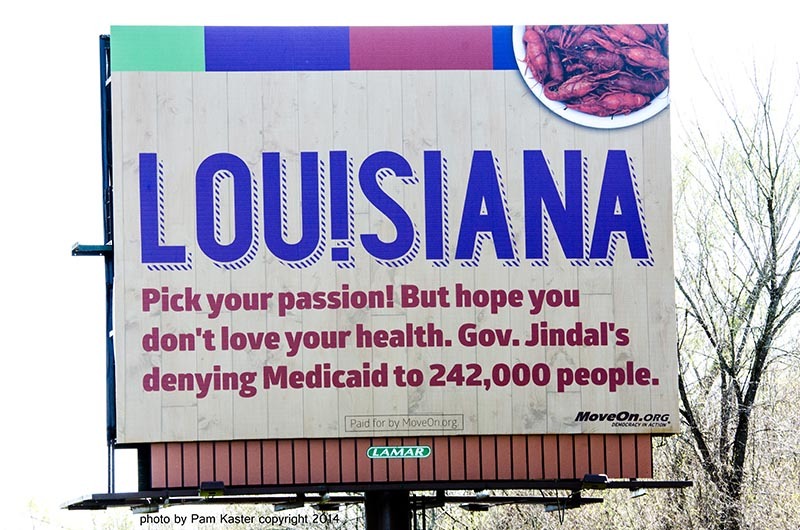 Earlier this week, a federal judge in Louisiana ruled that the billboard using the PICK YOUR PASSION trademark to criticize Louisiana’s governor for refusing to expand Medicaid can stay up. 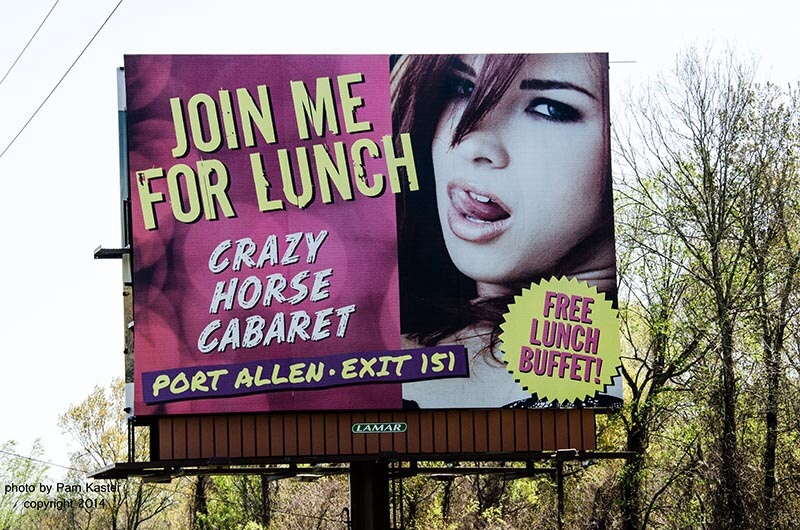 The judge denied a preliminary injunction requesting that the billboard be taken down asap. The judge’s preliminary ruling that the billboard can stay up is an indication that she does not feel folks were confused by the billboard. Evidently, the judge stated in her decision that, “[i]n this Court’s view, the Lieutenant Governor underestimates the intelligence and reasonableness of people viewing the billboard.” On an interesting aside, MoveOn stated in a campaign drive this week that initially they had only intended to keep the billboard up for a month. Now MoveOn is raising money to “ensure our winning billboard will stay up.” (I grew up in Louisiana and made a contribution to MoveOn’s billboard fund). See also: The case, Dardenne v. MoveOn.org, case number 3:14-cv-00150 available at http://media.nola.com/politics/other/Dardenne%20Complaint.pdf; McCarthy On Trademarks, vol 4 and vol 6; MoveOn.org which features the lawsuit on their website’s homepage at http://front.moveon.org/; The Louisiana Office of Tourism’s website at http://www.crt.state.la.us/; photo by Pam Kaster at www.pamkaster.com; @iplegalfreebies and www.kasterlegal.com. 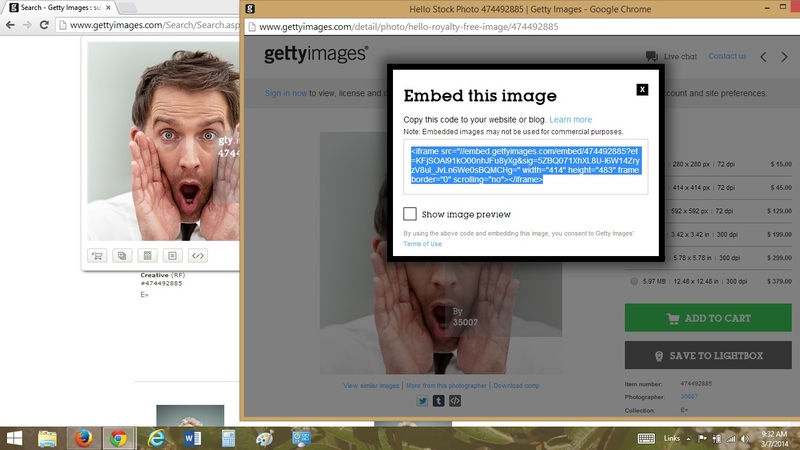 As you can see, Getty reserves the rights to 1) change the terms, 2) remove the image, 3) place advertisements in the Embedded Viewer, 4) collect data from folks who use an embedded image, 5) permit 3rd parties to collect data from folks who use an embedded image. Will be interesting to follow this development and see how it goes. Did you hear that a “DUMB STARBUCKS COFFEE” shop opened in California recently? (AND this fake parody was a comedian’s publicity stunt)(AND the shop has already been shut down by the LA County health inspectors)? In addition to branding the pop-up cafe with a mocked-up Starbucks logo that added the word “dumb” into the logo, the cafe also featured a virtually identical menu to Starbucks and added the word “dumb” onto the menu boards. (For example selling “Dumb Iced Espresso” in a “Dumb Tall” size cup). How was this permissible? Short answer, it wasn’t. Parody was being claimed although this was not a parody. Folks often think that just because something is FUNNY it is legally a PARODY. This is a not the case. FUNNY ≠ PARODY. Because this is such a common assumption it’s worthwhile to mention it again (and again, and again). For a terrific analysis of the DUMB STARBUCKS parody claim see on my friend Ron’s blog www.likelihoodofconfusion.com (post written by Matthew David Brozik). Not surprisingly, a spokeswoman for Starbucks Coffee said that despite the humor, the store cannot use the Starbucks name. Dumb Starbucks made a claim that their parody was similar to Weird Al Yankovic’s music. However, they left out a critical detail – permission. Weird Al Yankovic ALWAYS gets permission for his music. The fact that the shop was closed down by county health inspectors is an interesting detail in this Dumb saga. In fact, it’s not uncommon for various local inspection agencies to become involved when counterfeit merchandise is being sold (technically, the Dumb Starbucks scheme was a misappropriation of the Starbucks brand akin to counterfeiting). If a trademark-infringing business is violating health or building codes in addition to selling counterfeit products, nipping them in the bud for applicable health or building code violations can quickly close the doors. Hence this was the case with the Dumb Starbucks shop being shut down by health inspectors. 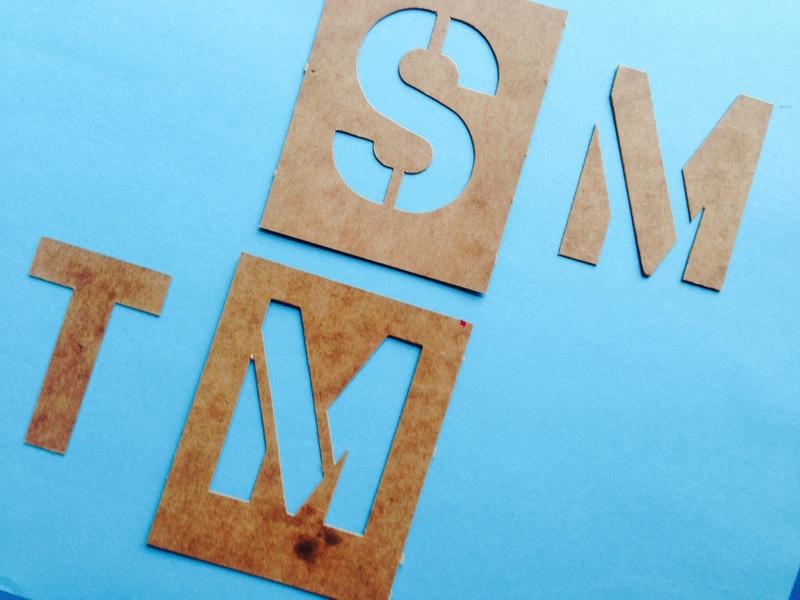 For more information see, TMEP on trademark parody section 1207.01(b)(x) at http://tmep.uspto.gov/RDMS/detail/manual/TMEP/Oct2012/TMEP-1200d1e5036.xml; another blog post on parody; for other blogs posts on trademarks; @iplegalfreebies and www.kasterlegal.com.